The discussion was part of a series of events planned by a committee convened by President Clayton Rose to promote open dialogue, the first of which was held last December between journalists Nicholas Kristof and Jason Riley. The response to the talk last year was largely negative as students felt that Kristof and Riley failed to challenge each other’s ideas. The talk was moderated by Gary M. Pendy Professor of Social Sciences Jean Yarbrough and primarily focused on three issues: the recent controversy surrounding NFL players kneeling during the national anthem and the President’s response, the rights of companies to fire employees with controversial points of view and the prevalence of liberal ideas on college campuses. Following the discussion, the audience had the opportunity to ask Brooks and Bruni questions. 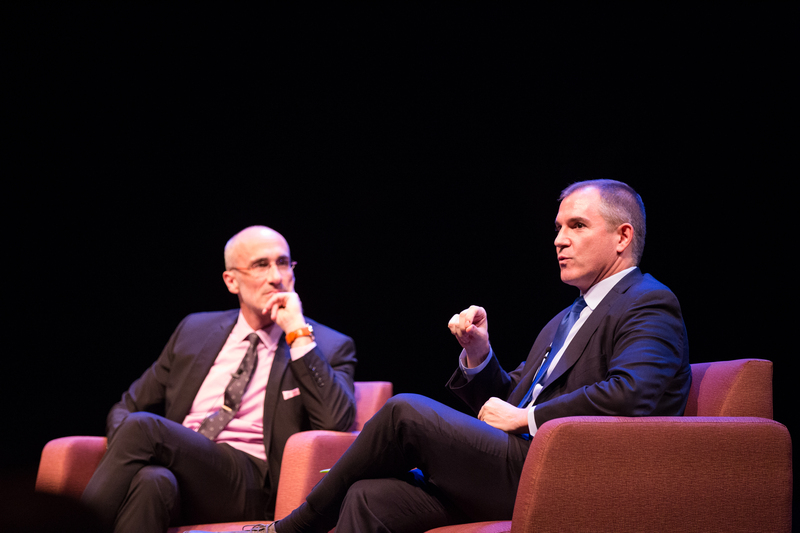 Arthur C. Brooks (left), president of a prominent conservative think tank, and Frank Bruni (right), columnist for the New York Times, sit down to discuss topics such as free speech, NFL players taking a knee during the national anthem and the imbalance between conservatives. and liberals on college campuses. In her introduction of the speakers at the event, Yarbrough said that “Neither of [the speakers] is a conventional spokesperson for [his] team.” As the discussion progressed, this statement rang true as the two speakers largely agreed on most of the questions raised by Yarbrough. This summer, Rose asked Yarbrough to moderate the discussion. When creating the questions for Bruni and Brooks, Yarbrough focused on topics where she believed the speakers would differ in their beliefs, and issues she thought are particularly relevant to millennials and college-age students. Brooks, president of the conservative think tank American Enterprise Institute (AEI), immediately established his political position when discussing this topic. The two speakers further agreed on Google’s right to fire engineer James Damore after he wrote an anti-diversity memo. Both speakers shared their qualms with Google firing Damore on free speech grounds yet acknowledged that as a private company, it had the right to fire him. “They were well within their right to do it,” said Brooks. Throughout the event, the speakers emphasized the importance of ideological diversity and creating discourse around the subject, especially on college campuses. “When you are hiring or when you are admitting students into your university, you are constantly asking yourself, ‘What kind of mosaic am I constructing? Do I have various skill sets and various angles covered?’” said Bruni. Bruni warned against universities not wanting to hire conservative professors as “it is not consistent with the world we live in.” Brooks further emphasized the importance of the competition of ideas on college campuses. The event was organized by a committee of students, faculty and staff, led by Rose, with the aim of prompting discussion on difficult and critical issues. “Two years ago, I asked a group of students, faculty and staff who have very different political, social and worldviews to come together and think about what kind of program we may offer for the campus, and for students in particular, that would provide a sense, an understanding and an engagement with the notion of thoughtful, respectful and real discourse about tough issues that face our society and campuses as well,” said Rose in his introductory remarks. He explained that the event series on open dialogue is part of a larger “mosaic” of programming taking place on campus, be it in the first year bricks, the college houses or larger events. While most students the Orient spoke to following the event said that having these discussions and events on campus is beneficial, many felt the two speakers agreed too strongly on most topics without having substantive debate. Shea Necheles ’18, the Bowdoin Democrats co-leader, echoed this sentiment. “The conversation was a little idealistic and unrealistic in like, ‘Look how good it can be! Two people who don’t agree on anything can come together and have this really interesting conversation’,” said Necheles. Huma Dadachanji ’20 hopes that the campus will engage more thoroughly to understand the nuances of political disagreement. “I’m interested to see how we can continue [this dialogue] instead of having just these speakers that come and tell us that discourse is important, but actually having a way in which we could somehow get conservatives and liberals to talk on these issues and not just speak face to face, but actually discuss what they see that the root of their conflict,” said Dadachanji. Some students, however, felt that the event was successful in showing possibilities for agreement between those of different political opinions. 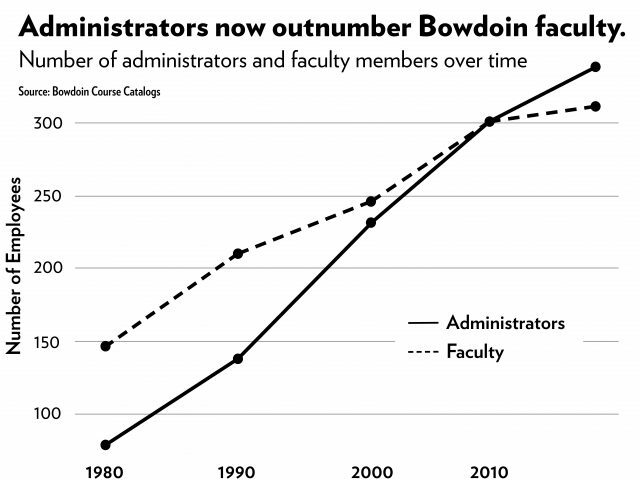 “I would say [it shows] two people who disagree with each other in many other realms—in terms of free speech and the way colleges are—[can] agree so much,” said Francisco Navarro ’19, co-leader of the Bowdoin Republicans. Ethan Winter ’19 challenges Brooks on his economic positions. Bruni attributed this agreement to their relatively moderate stances. “The truth of the matter is, when you deal with people who are not extreme ideologues, and [Brooks] is not an extreme ideologue from the right, nor I from the left, and you do have a discussion that is not about sound bites but is nuanced, you do find that there are more areas of agreement,” said Bruni in an interview with the Orient. Necheles believes that although the talk was provocative and productive at times, it failed to address key questions being discussed in politics today. Emma Kane ’18, who co-leads the Bowdoin Democrats with Necheles, wished the College had chosen speakers with a diversity of experience. “For me, I thought that politically they were very similar. Just as far as their experiences, like they both are white males and I think in the future, it would be really interesting, as the President moves forward with these talks to have people who represent a different experience in America,” said Kane. 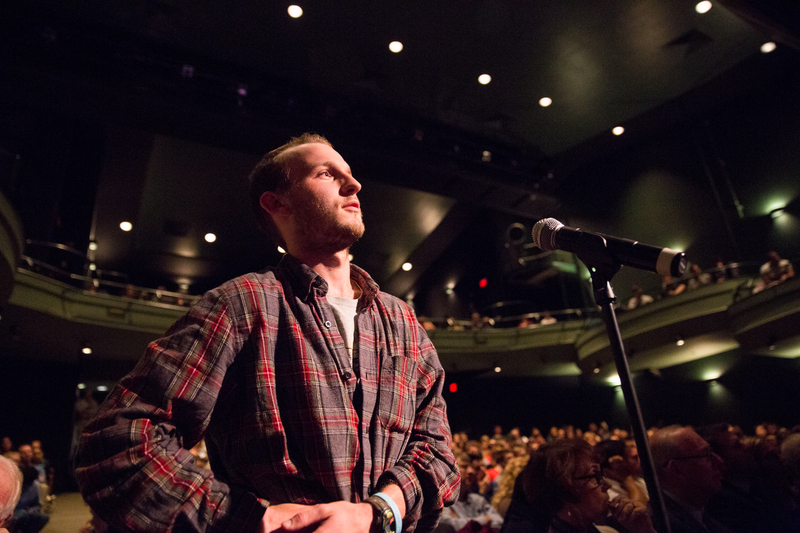 Brooks however remained confident that the dialogue exhibited on stage could occur on campus as long as students were willing to listen to one another. “If you’re trying to argue for your point of view, there’s lots of polarization. 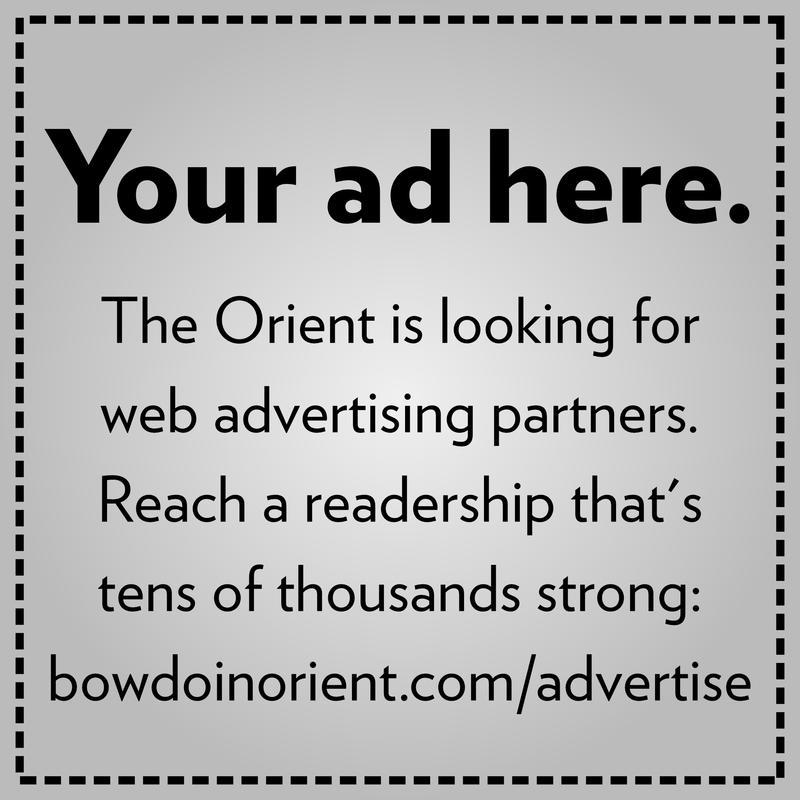 If you’re trying to actually talk to another person, and more importantly listen to another person, a lot of that falls away,” he said in an interview with the Orient.